Distracted driving is a dangerous problem for people in general, let alone teens whose concentration just might not be there yet. Friends in the car, smartphones, controlling their playlist, even food or drink can take your teen’s eyes off the road at a critical moment. Fact is, distracted driving is the #1 killer of teens. Not drunk driving and not drugs. Texting while driving. 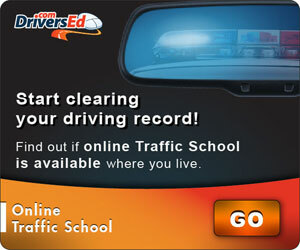 It’s with that in mind that DPS started the Impact Texas Teen Drivers [ITTD] course last year. Modeled after a similar program in California, its goal is to educate teens on the unintentional danger they can cause themselves by not paying greater attention behind-the-wheel. Texas making Distracted Driving into additional required curriculum for Teen Drivers makes a lot of sense. Sure, all teen driver courses cover distracted driving these days but the ITTD course must be completed prior to a road test. In fact, DPS wants the Impact course details fresh in your teen’s mind and must be done no earlier than 90 days prior to a road test. Upon completion of the ITTD course, your teen receives a certificate which must be presented at DPS for their road test. 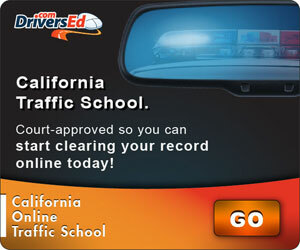 If your teen fails their road test, they are required to retake the ITTD course again. This is required of all teens who have completed a 32 hours teen drivers ed course. While this is not required for Adult Drivers Ed, the information may save a life and is worth the time of plenty of adults as well. A great example of the sort of facts the course brings to light includes this: Sending the average text can take 5 seconds without your eyes on the road; at 55 MPH that means you drove the length of a football field essentially blindfolded. The two hour course operates on the notion that distracted driving “…is not about bad teens doing bad things, it’s about good teens making poor choices”. This is solid truth because quite honestly, accidents can happen to anyone and we’re all capable of just glancing the wrong way at a critical moment. The course lays out the topic of distracted driving over 8 video sections with a knowledge check at the end of each section. -LESSON 1: WHAT DO YOU CONSIDER LETHAL? -LESSON 3: IT CAN HAPPEN TO YOU! -LESSON 8: WHAT CAN YOU DO? The knowledge checks are typically 5 true or false questions relating to the material of the completed section. While no score is given, the course must be viewed in full to generate the required certificate of completion, which you can then print out to include with your other required logs and certificates needed to go into written license exam and finally, your road test. What if you could make that first beater car your teen worked, scrimped and saved for all year long for into a safer, more reliable ride with built-in diagnostics, hands-free talking, emergency roadside assistance, anti-theft tracking? Not to mention software that tells you the parent, if your teen is speeding or joyriding where they shouldn’t be? Even instant accident detection so you know your kids need you even before they do? You’d probably love to do that. Verizon aims to give you just that ability with their new Hum adapter. And they’re offering it now for just $10 a month. How’s it work? While Apple and Google are concentrating on becoming the replacements of those expensive GPS system upgrades offered at the dealerships on brand new cars, Hum by Verizon works for all cars from 1996 on. You simply plug Hum’s adapter into your car’s OBD port [located typically under the dashboard], and unleash the power of your car’s computer through the focus of Hum. The adapter works in conjunction with a Bluetooth control and phone app that provides not only hands-free talk but 24/7 roadside assistance and even a direct line to a mechanic. The Hum app breaks down data and car computer coding into plain English, to allow for greater understanding of your car’s engine life. Can’t find your car in a parking lot? Hum will walk you right to it. If your car is ever stolen, Hum can help authorities track it. Don’t want your kids driving past a certain boundary line? Hum will tell you if they do it, how fast they were going, even how much gas was used. Now, you don’t have to have Verizon as your cell phone provider to use Hum. This is a separate service for your car and the goal for Verizon is to get Hum in millions of vehicles. The app works on either Google Android or Apple iOS operating systems. Currently, Verizon is running a promotion where you can purchase the Hum Adapter and Bluetooth control for $29.99 with a 2 year $10 a month service contract. That saves $120 right away on the hardware, and gets your new teen driver to 18 with this great protection. I’ll leave you with this brief video on Hum below. Visit Hum’s website here. Light that Red Light Camera Ticket On Fire! Burn it!” says Tennessee State Representative Andy Holt in a recent Facebook video. Then he does just that, holding up a copy of a traffic camera citation, taking the flame from a cigarette lighter to it. But should any citation be treated so cavalierly? The Tennessee lawmaker is known for shocking statements that make the news but is he wrong here? When it comes to tickets given out by camera, more and more cities are backing off enforcement of them. Typically, because these tickets are not written by a police officer, they are classified as civil penalties. That means that while there is a fine, there is no reporting of the offense to the DMV, which means no points or higher insurance premiums. This knowledge leads a lot of folks to simply ignore the ticket altogether and not pay the fine. That doesn’t mean a city won’t put you in collections over the fine. That said, what works in Holt’s state of Tennessee may not work in yours. And just because points are not likely, doesn’t mean they can’t happen. Many folks also operate under the philosophy of “Well I’ll just pay the fine” to make it go away. In Colorado, a red light camera ticket is worth 4 points on your record. In Georgia and North Caroline, you’ll see 3 points added to your record. In California, it’s a one point violation. I will state unequivocally that Arizona is an absolute state-wide red light/speed camera trap. A ticket will get you 2 points there and on top of any fine, you’ll spend an additional $150-$250 in court/state fees for traffic school to clear your record. And if you want to watch Rep. Holt burn a red light camera ticket, well, it might be therapeutic! We’re starting with the most obvious and yes really, many people need to be warned that double parking is a stupid thing to do…because apparently they continue to do it anyway. Aside from the fact it’s kind of a jerk tactic, blocking someone else in so they can’t get out, it’s also $115 fine if you get caught. NYC.gov reminds you “Double parking any type of vehicle is not allowed in Midtown Manhattan (the area from 14th Street to 60th Street, between First Avenue and Eighth Avenue inclusive). Midtown double parking is not allowed between 7:00am – 7:00pm daily except Sundays.” For passenger cars, the basic rule is you can never double park [brief unloading of passengers aside] and commercial vehicles may only do so in the course of loading/unloading and making deliveries if there is no available parking or unloading zones within 100 feet of either side of the street. In most places, you can pull up to a red light at an intersection, stop, and if it’s safe, you can make a right turn. New York City is not most places. In fact, you can never ever make a right turn on a red light unless a sign permits this. An illegal right on red is effectively running a red light. This is a major 3 point violation. Fine amounts can vary greatly depending on if the offense occurs in a city with a population under or over a million people but expect a range of $250 to $450 as a result. Gridlock is never fun and New York at rush hour is pure gridlock. “Don’t Block The Box” has been a major slogan of New York City regarding blocking intersections on city streets ever since the 1980s. Before proceeding onward with a green light, always be sure you have enough room in front of you to clear the intersection and crosswalk ahead. If you don’t have room, wait until you do. If the light turns red, wait until it turns green again before entering the intersection. Nothing is more stressful than being stuck in the intersection as cars on opposite sides of you blow their horns at you for blocking them. “Blocking the box” while no longer considered a moving violation which carries points on your record is now reclassified a parking violation which still has a fine of $115. This one’s easy: don’t drive over 25. The speed limit was lowered from 30 to 25 MPH back in late 2014 as part of NYC Mayor DiBlasio’s “Vision Zero” plan to prevent traffic related fatalities. The 25 MPH limit applies to all streets where no other sign is posted. Highways such as the FDR, West Side Highway and Riverside Drive will still have higher limits and school zones will have lower limits. Mind your signs and if there are no signs, remember, 25’s the law. Yielding the right-of-way is about safety and when it’s at a crosswalk, it’s absolutely essentially. New York City leads the nation in traffic fatalities involving a pedestrian, at just over 30%, it makes it the most dangerous place in the country to try to cross the street. This is a 3 point violation and carries a $150 fine. It is absolutely at the top of NYPD’s list of traffic violations to look out for, especially given the previously mentioned “Vision Zero” campaign and the serious concerns about traffic fatalities. Don’t just push or roll through a crosswalk and always allow a pedestrian the right-of-way.